As foodie culture expands people are spending more time and money discovering unique and gourmet dining experiences. Consumers now expect access, transparency and the ability to craft a culinary adventure unique to their tastes. 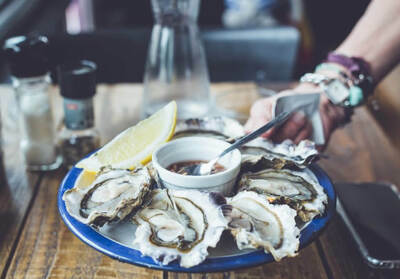 A New York entrepreneur, seeing this trend, came to FM with a novel idea: create an app that connects oyster lovers and learners with restaurants serving oysters close by. Our team guided the product from initial ideation to the launch of a sophisticated iOS app, that captured media attention from many renowned publications and travel magazines including NY Times, USA Today and Forbes. We began with an in-depth discovery to better understand our target audience (foodies) and the interactions that might exist between them and restaurants. We interviewed oyster lovers, oyster farmers, restaurant owners & chefs alike, identifying ways to connect them, honing in on the opportunity. Our relationships with users continued through iterative releases and user validation throughout the development process. The initial MVP release was a mere two months after development began, allowing us to gain useful feedback quickly and incorporate it into the next iteration of the product. 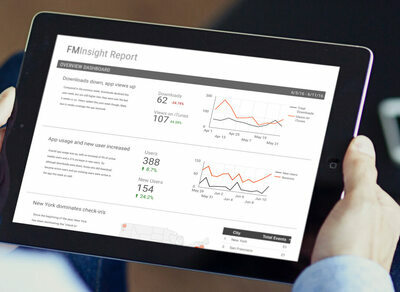 Our FM insights team diligently analyzed data from users to recommend feature additions and refinements. As the app was launched in eleven major cities across the US, these reports provided an instant way to make regional comparisons and track adoption in real time. 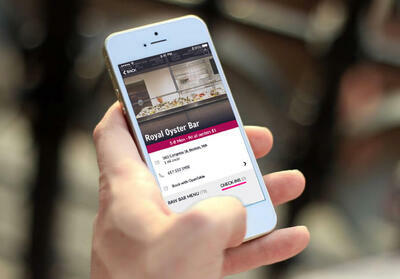 This iPhone app allows oyster lovers to easily find restaurants serving oysters and other seafood in their area. A comprehensive oyster and seafood listing highlights taste characteristics, origins and individual health benefits as well as recommended drink pairings. Seamlessly linking to Open Table ensures reservations are a tap away, with notifications alerting to raw bar item availability and daily specials. Other features include favoriting, a location finder and check-in. 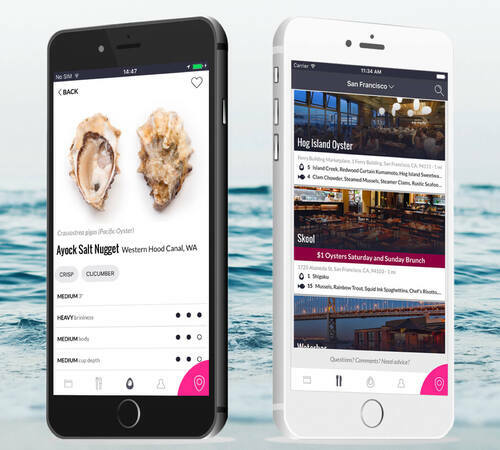 The app isn’t just for consumers, an innovative restaurant web-portal allows chefs to share daily menus using facebook and instagram integrations and OCR technologies, reaching customers who are looking for specific oysters and then later expanded to all seafood menu items in their area. Soon after launching in New York, San Francisco and Boston, the Pearl App set its sights on an international debut with a version crafted especially for the Chinese market. Features were added and changed to appeal to the culture surrounding gourmet food in China, the social media tools in use there such as WeChat and the app was localized for mandarin. You don't have to pick a restaurant based on reviews or reservations: you can choose where you dine that night based on the exact oyster that you want to eat.